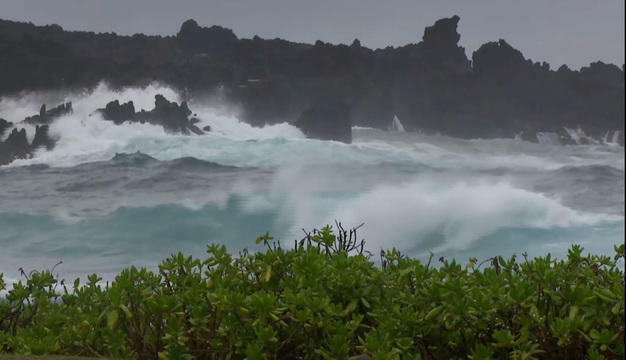 The state is preparing for rainfall “in feet” as Lane moves closer to the islands, and with at least tropical-storm-force winds expected in most areas over the next few days, the combination of rain and wind is expected to cause major flooding, downed trees, and heavy landslides/mudslides. For Hawaii, Lane represents just the latest natural catastrophe, as the state has already experienced torrential flooding, earthquakes, and a volcanic eruption in 2018 so far. While Hawaii has taken the brunt of many of the natural disasters in the U.S. so far this year, hurricane season is officially underway and it's likely we'll see more regular activity in the rest of the country as the season unfolds. Access Hurricane Lane’s current storm path to prepare your plan of action. By leveraging the storm path provided by NOAA, and easily accessible via SpatialKey, you can track the storm as it approaches. Manage your event response by using the information within SpatialKey to make recommendations to your insureds that will help mitigate damage. Analyze the storm track against your current portfolio to understand your exposure concentration, not only to determine the potential cost of claims, but also to proactively prepare your claims team to mobilize and respond to insureds. Understand your exposure to wind, flood, and storm surge by filtering and segmenting data based on characteristics such as wind speed, construction type, and line of business. Evaluate the path of the storm and gauge “what-if” scenarios to understand the potential impact to your portfolio. Preparing your insureds in Hawaii for Hurricane Lane will be no easy task, especially with the uncertainty of a direct hit. So, make sure to check back here for the latest forecasts, wind speeds, flood depths, and rainfall. And, check with your SpatialKey account manager regarding what information will be available throughout the course of this event. Now is the time to mitigate risk and be proactive with your outreach by putting data and analytics to work for you, and we’re here to help with this event, and the next! To learn more about accessing the latest Hurricane Lane data and analyzing it against your own portfolio, don’t hesitate to reach out today.